They’re movers and shakers. Their contributions have changed and continue to change the nature of travel, both in Canada and around the world. In this week’s issue, Canadian Travel Press’ series of profiles on Women in Travel continues with Ingrid Jarrett, the General Manager and VP of Business Development for Watermark Beach Resort, the President of Ingrid Jarrett Management Consulting, and one of Canada’s Most Powerful Women by the WXN. To illustrate the impact of immersive travel, Ingrid Jarrett tells the tale of arriving in Fiji at 4 a.m. with her daughters in tow. Growing up in a city where the main industry was tourism, the General Manager and VP of Business Development for Watermark Beach Resort, and the President of Ingrid Jarrett Management Consulting, says a career in hospitality and tourism was a natural progression. Along with her position at Watermark and running her own firm, Jarrett – who has experience working at top hotels throughout BC like the Fairmont Hotel Vancouver, and was integral in the development of many other boutique hotels and resorts such as Nita Lake Lodge, Blackrock Oceanfront Resort, The Oswego and L’Hermitage – sits on the board for several committees and destinations that impact BC’s tourism community. 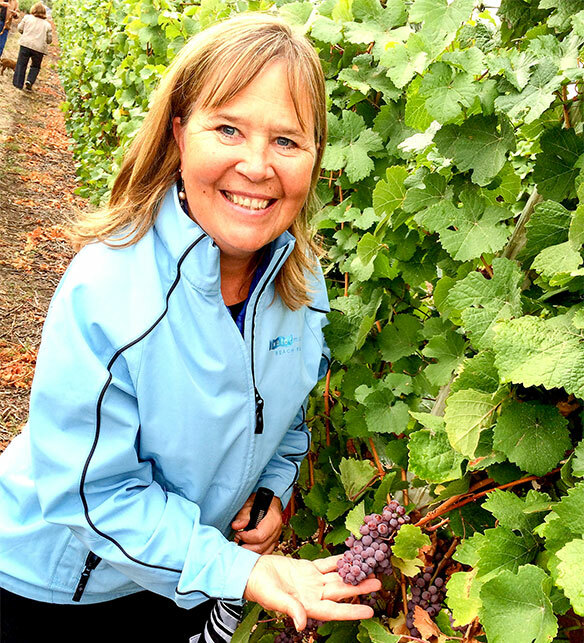 Although no two days on the job are the same, she says all the roles complement one another by centring around developing strategies for growth in tourism and hospitality. sional achievements of remarkable female leaders across nine different categories. As a recipient in the RBC Champions awards category, Jarrett was recognized for making a difference to the advancement of women in the Canadian workplace, and judged on criteria like her involvement as a role model, impact on other women, influence as a change agent and for demonstrating community service. “I was nominated by a handful of women that I have mentored in the hotel and tourism industry over the last 30 years, and that’s why the award meant so much to me because they recognized me for the contribution I made to their professional development,” she says. Reflecting on her own mentors, she pinpoints Michael Lambert, a former senior VP for Canadian Pacific and Fairmont Hotels, as well as her father. Meanwhile, her dad instilled the belief that she could do anything she wanted to, and that she had to work hard and be true to herself. Along with the recent accolade of being named one of Canada’s 100 most powerful women, she counts being the second female in 100 years to chair the BC Hotel Association and earning the President’s Award from the Economic Development Association of BC for her work on the Burns Lake Economic recovery strategy in 2012, as a few of her other career highlights. “I was representing the tourism industry with the Burns Lake recovery project, and that was after a mill town lost their mill to a very dreadful fire; and I was able to come in and work with the community and the First Nations people and really take a look at what the opportunity might be to build tourism in that community,” she says. Describing the secret to her success, she says it comes down to passion and influence. Meanwhile, she believes her passion and expertise for ecotourism, culinary and agricultural tourism, and sustainable tourism within local communities, drive the success of her company. Overall, she says working across the board with small businesses, medium businesses and very large companies keep her charged in different ways. And, while there were highlights, she says there also were obstacles along the way such as advancing in a male dominant industry and striking the right work-life balance. As tourism continues to be a hotbed in Canada, she says labour – from development and training to recruitment – will be a big challenge for the industry in the year ahead. What’s your favourite country or city to travel to? My favourite country is either Italy or New Zealand. I love them both. My favourite city is probably Oslo. The art, the people, the history, the Vikings, it’s just amazing. It’s clean, it’s beautiful. They have art integrated everywhere in the city. People are very, very happy and very content. Where are you based and how often are you on the road for work? I’m based in the Okanagan Valley, and I probably spend two weeks out of every month either in Osoyoos or Vancouver, Calgary, Australia, or wherever else I may be depending on my contract work. What’s your overall country count? I’ve been to 19 so far. What’s big on your bucket list? I haven’t been to Asia and I’d love to go to Asia. I’d love to go to Slovenia, and I’d like to go to Iceland. 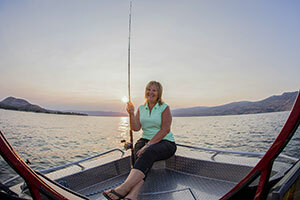 What should someone not leave the Okanagan Valley without doing? Definitely wine touring. The other one is fishing. I think really being immersed in Canada’s only desert and swimming in Canada’s warmest lake in Osoyoos, and we have the amazing bike trails for Kettle Valley Rail and the rail-to-trail system, which is several 100 miles of biking along the beautiful Okanagan, and when you come in the winter, it’s skiing. What advice do you have for women thinking of getting into the industry? If there’s ever a problem, be the one who figures out how to solve it. No. 2, I would say, your work-life balance is incredibly important. You don’t have to give up one for the other. Our industry is so filled with opportunity, and there are many positions up and coming in Canada, or around the world, so you can really look at where your passions lie and the world is your oyster. Work hard, don’t give up, take criticism well and humbly, and just make sure you do better the next time. It’s a very human industry, so understanding human relations and caring about people is the centrepiece because it’s really all about service.